Update of the menu can be performed remotely on the selected tablet or all tablets at once without you leave your office. Changes made in Spectu will show up when you want. If you don’t have a point of sale system that communicate with Spectu and you don’t want to change the current POS, the best solution for you is Spectu CMS. 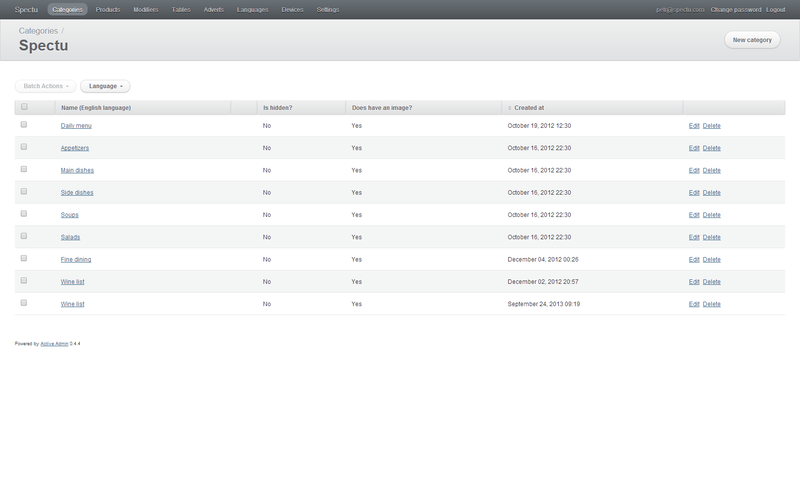 CMS is a full version of Spectu for iPad connected to our Cloud application CMS which works as management system for menu editing. Through CMS you are able to change your menu in seconds from anywhere, even from a mobile phone. Spectu app is connected to a printer which print orders and messages for the kitchen and waiters. You can login to CMS using your web browser from anywhere, just like to your email. You don’t need to buy a new hardware and reduce your costs. 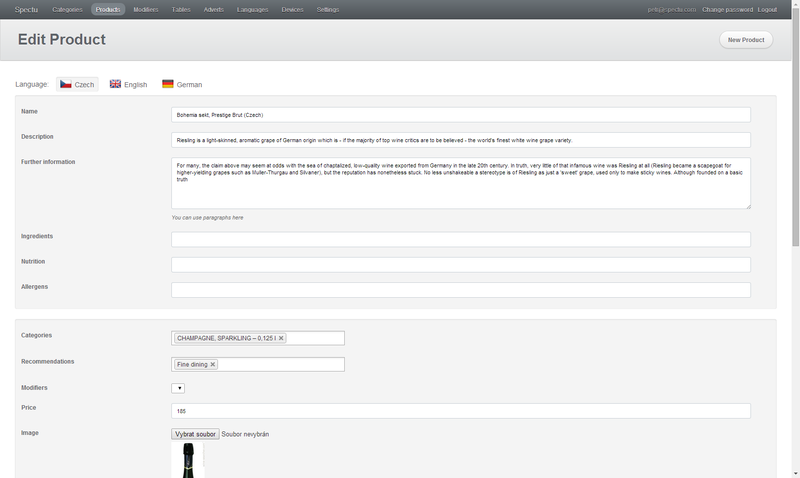 For menu editing throught CMS you need the internet access. But you don’t have to worry about stability, because Spectu app on iPad needs internet only for downloading of current menu and then it works 100 % offline. Even orders are send on local site so you are independent on internet provider. 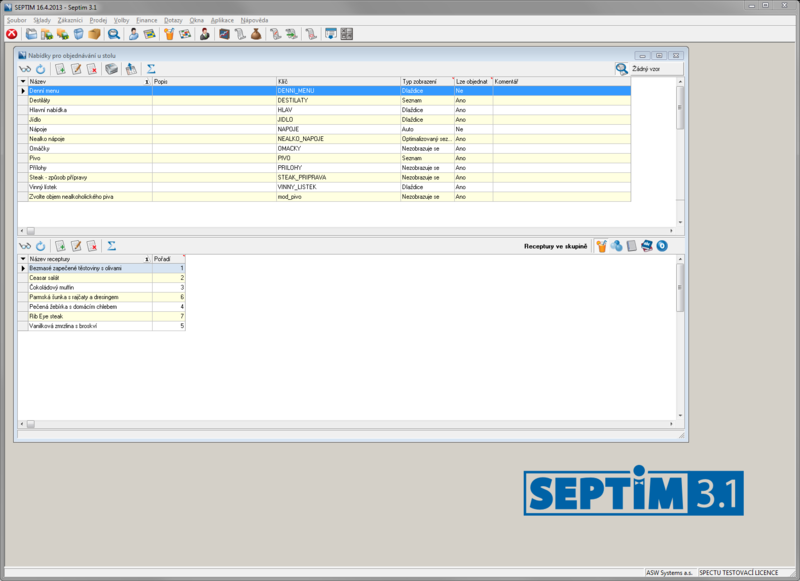 If Spectu is connected to a point of sale system, all content is manage straight in POS management. 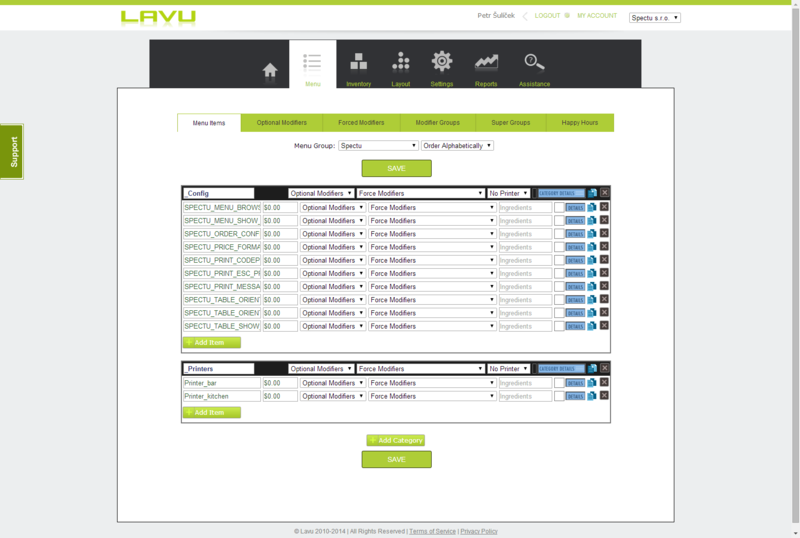 All data are at one place and all changes are automatically reflected in Spectu and POS. This also applies to all settings, and inventory management. Thanks to POS connection you will edit your data in seamless way and you will be sure that your customers will always see the current menu. Orders can be print in the same way as a waiter enetered them to POS. If you have a busy day and you are afraid of errors, you can hold incoming orders for confirmation by a waiter. Waiter can confirm an order on the screen of POS if he has enought rights in the system to do that. 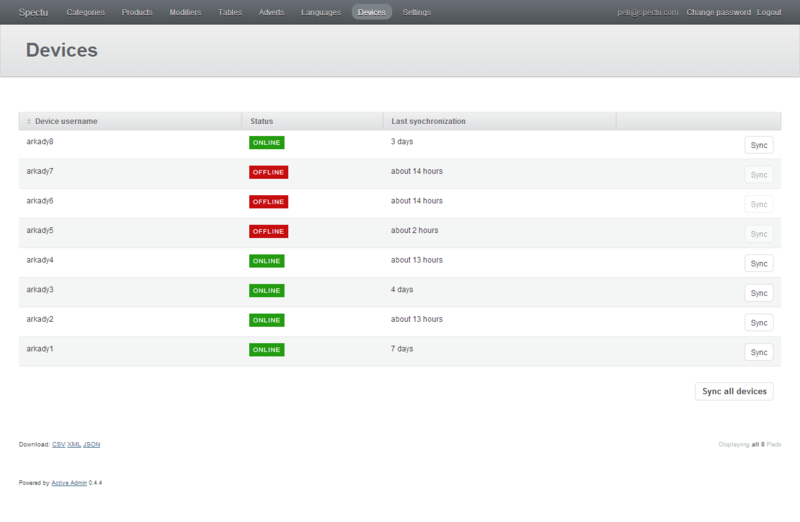 You can also view the message window and see a particular customer’s activity in timeline. This feature allows your waiters to satisfy any customer needs in real time.